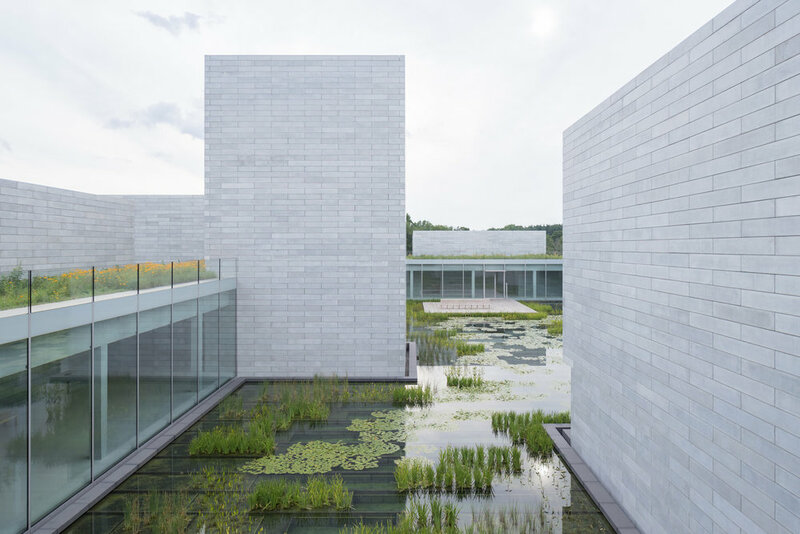 Glenstone is a contemporary modern art museum located in Potomac, Maryland. 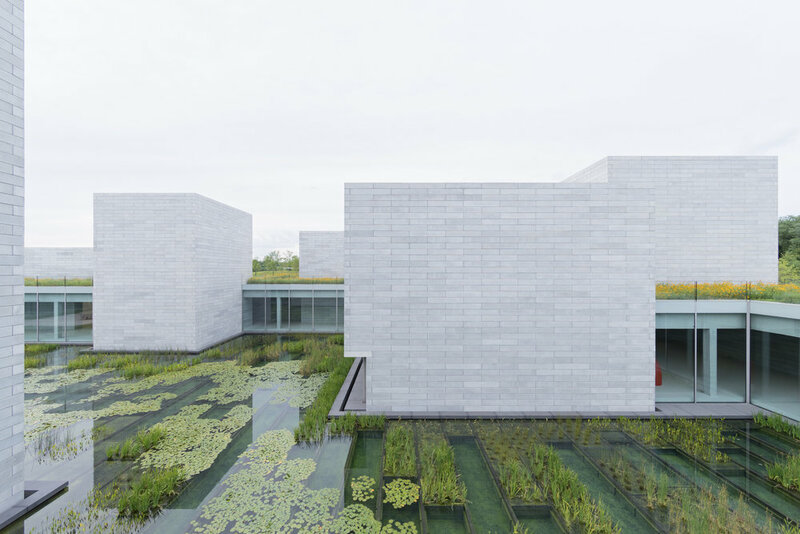 This 230 acre museum offers guests an intimate experience with the art, architecture and landscape. The original Gallery designed by Charles Gwathmey of Gwathmey Siegel & Associates Architects was open to the public in 2006. 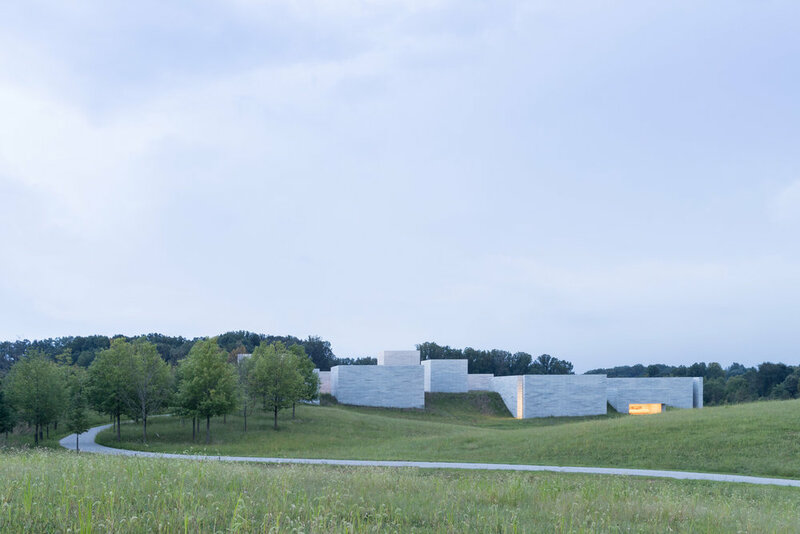 Glenstone underwent a major expansion of its museum and landscape to accommodate a larger portion of its art collection to the public. 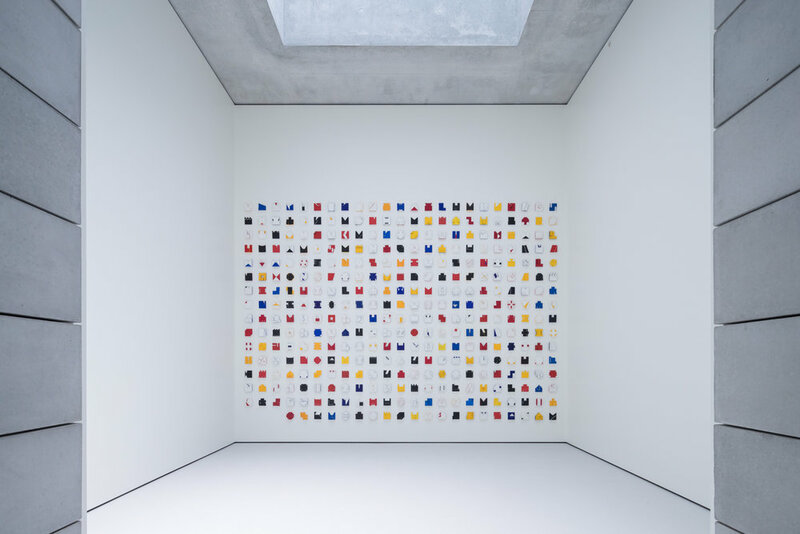 The 2018 expansion added 50,000 square feet of gallery space in a 204,000 square foot museum structure called "The Pavilions", which was designed by American architect Thomas Phifer of Thomas Phifer and Partners. The expansion also added 130 acres of land, with the museum buildings located toward the center of the 230 acre property. The landscape, designed by Adam Greenspan and Peter Walker of PWP Landscape Architecture incorporates woodlands, bridges, walking paths and wildflower meadows. The design included the planting of more than 6,000 trees of 55 native species. The Water Court is planted with water lilies, irises and rushes, creating a vibrant landscape that changes throughout the seasons.